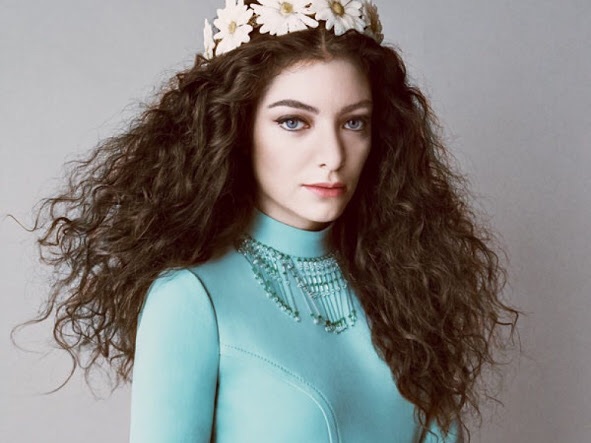 Lorde has announced details of her soundtrack to the newest Hunger Games film, recruiting Kanye West, Grace Jones, Chemical Brothers and other “heroes” to record original songs for the movie. Lorde, who is 17, was announced this summeras the “sole curator” of the third in what has become a lucrative series of soundtrack albums. Like the previous records, the music for The Hunger Games: Mockingjay – Part 1 brings together all-new songs from various pop, hip-hop and indie rock talents; unlike its predecessors, Lorde herself was pestering the artists to make sure they would contribute. With this in mind, at least 15 of Lorde’s “true heroes” recorded songs in tribute to Katniss, Peeta and the suffering citizens of Districts 1 through 13. Several of the tracks are collaborations: Charli XCX with Duran Duran’s Simon Le Bon, the Chemical Brothers with Miguel, and Stromae’s Meltdown features Lorde, Pusha T, Q-Tim and Haim. Other contributors include Bat For Lashes, Tove Lo and Chvrches, while Kanye “reworks” Flicker. One cut still remains mysterious: track five is “To Be Announced”, according to the official press release. But as Lorde tweeted on Wednesday, the vague details aren’t there “[for] secrecy’s sake”: the teen star, who only just completed a world tour, hasn’t “quite finished” the song. Even without a celebrity curator, the previous Hunger Games soundtracks secured songs by top-flight artists such as Coldplay, Taylor Swift and Arcade Fire. Both reached the US billboard’s top 10. The Hunger Games: Mockingjay — Part 1, the second-last instalment in the series, arrives in UK theatres on 20 November.